Washington (CNN)A Democratic operative whose organization was helping Hillary Clinton's campaign announced Tuesday that he would be "stepping back" from the campaign after an edited video suggested that he and other staffers hired people to attend Donald Trump's campaign rallies and incite violence. 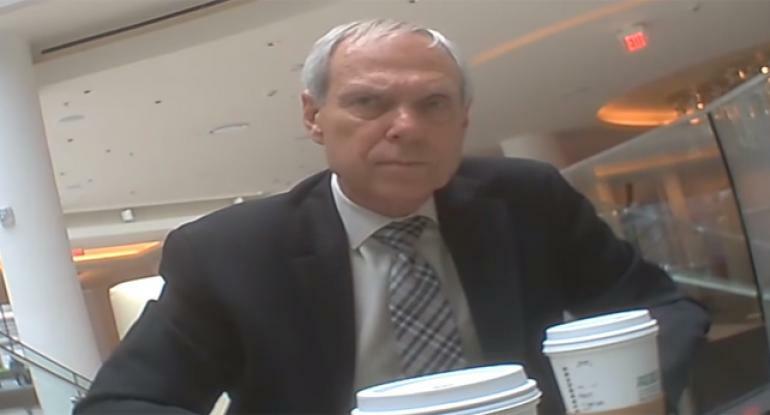 Robert Creamer -- husband of Illinois Rep. Jan Schakowsky -- announced his resignation in a statement after conservative activist James O'Keefe released a video under his organization Project Veritas Action, which showed Creamer and other operatives purportedly discussing methods for inciting violence at rallies for the Republican nominee. Not "suggested," not "purported": in their own words, in blisteringly plain English. Yes, they use massive voter fraud; yes, they paid disruptors to assault Trump rally goers in the waiting lines outside and stage "protests" inside the rallies. Out of their own mouths. Watch the videos, decide for yourselves. Semper fi!